Sumon Hoque, 32, appeared Aberdeen Sheriff Court charged with a string of driving offences. Labour has withdrawn support for a general election candidate who has appeared in court charged with drink driving without a licence. 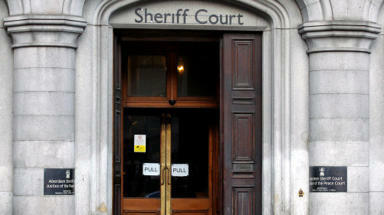 Sumon Hoque, 32, appeared Aberdeen Sheriff Court on Friday charged with a string of driving offences. He is accused of driving a car with no MOT and without a licence while over the drink drive limit. Mr Hoque allegedly drove the car along Bridge Street in Aberdeen on May 1 last year. Mr Hoque was selected as Labour’s candidate for May’s general election in the Banff and Buchan constituency in February. It is claimed he had 44 micrograms in 100 millilitres of breath at a time when the limit was 35 micrograms. The charges claim that there was no MOT certificate in place for the vehicle and he was not the holder of a licence authorising him to drive the car. Mr Hoque is further claimed to have caused an obstruction with the motor on the city's Bridge Street. 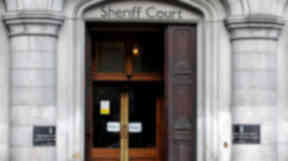 It is alleged that he also failed to give information of who was driving the car to a police officer on the same date. He denied the charges and will go on trial next month. Mr Hoque works as a development manager for a television production company and acts as board director at the Grampian Regional Equality Council. A spokesman for the Scottish Labour Party said: "Sumon Hoque has been suspended from representing the Labour Party and we have, therefore, withdrawn support from him as the general election candidate."